Conventional filmmaking might just not be up to the task. 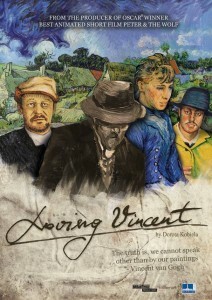 So all praise, then, to the producers of Loving Vincent, the soon-to-be-released biopic that tells Vincent’s desolate tale through the words of his letters and with interviews of those he left behind, and in the material form—for the first time ever in an animated film—of tens of thousands of individual oil paintings. 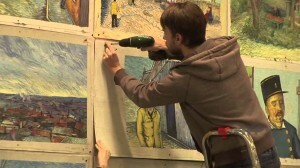 Every frame in the film, about 62,000 at last count, is a hand-painted oil on canvas, each done in the style of Van Gogh himself, collectively the work of nearly 100 painters. The project, which included a Kickstarter campaign to raise funds to train prospective artists, has been underway for more than four years. 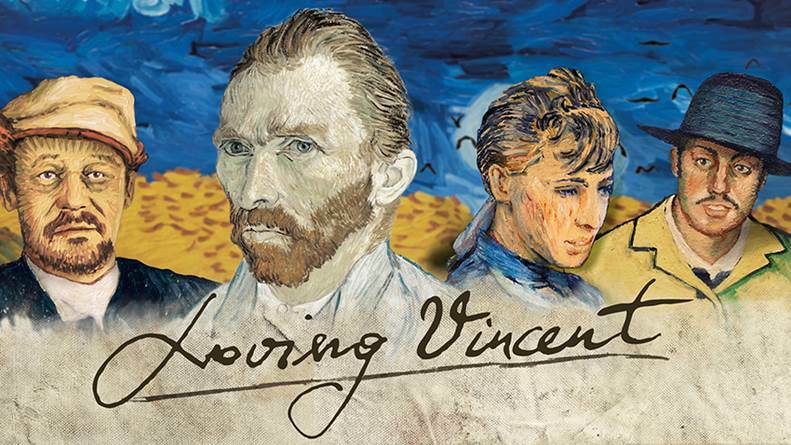 This entry was posted in New Post and tagged animation, film, Loving Vincent, Vincent Van Gogh. Bookmark the permalink.